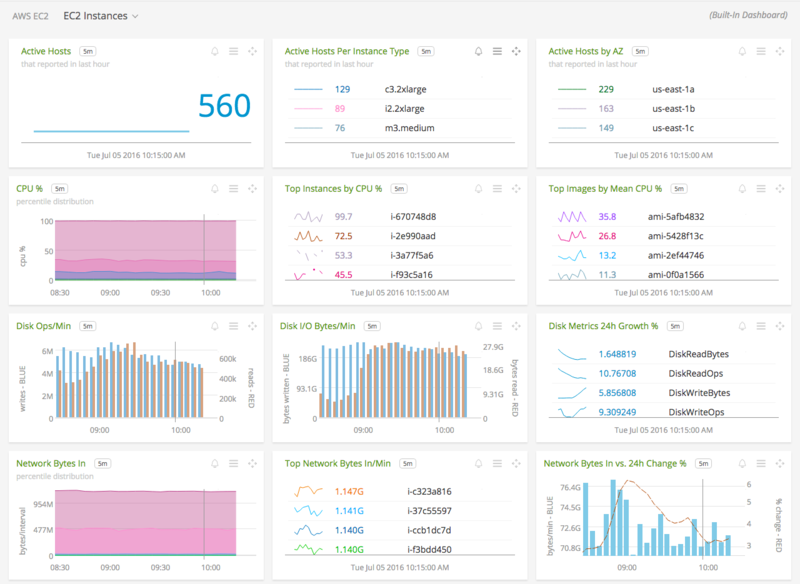 Use SignalFx to monitor Amazon Elastic Compute Cloud (EC2) via Amazon Web Services. 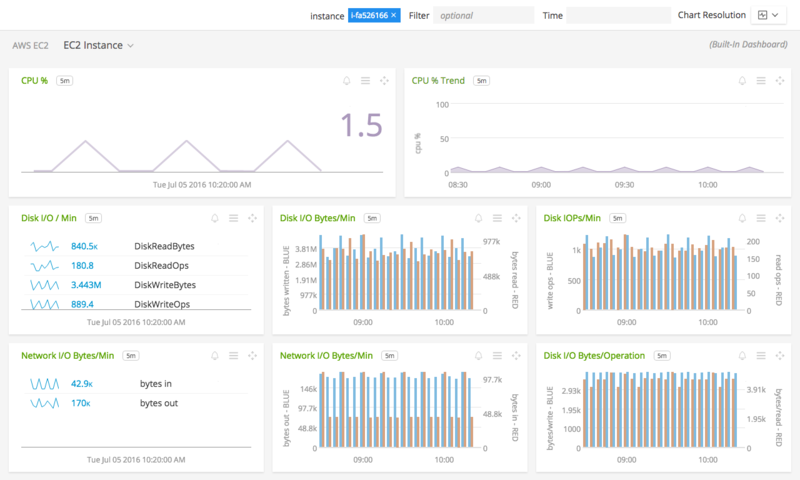 Infrastructure Navigator: On the Infrastructure page in SignalFx, the Infrastructure Navigator visualizes EC2 instances as squares, colored by CloudWatch metrics including CPU, disk, and network. Group and filter instances by AWS metadata like availability zone or service tag in order to discover trends and correlations. Click here to read more about the Infrastructure Page. 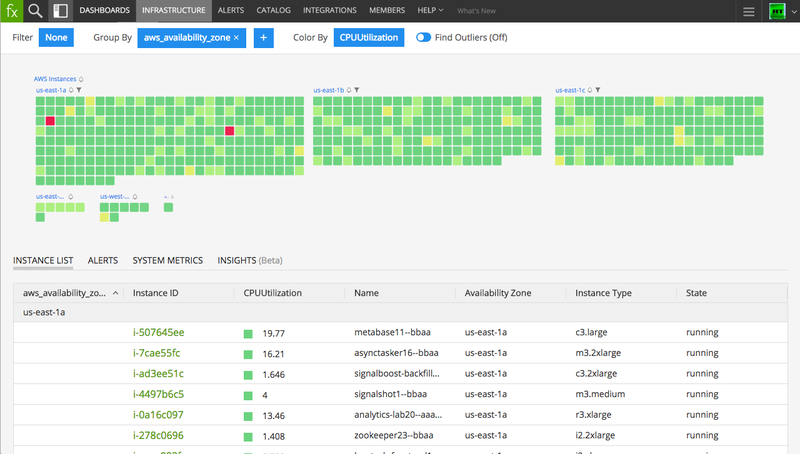 EC2 Instances: Overview of all data from EC2. 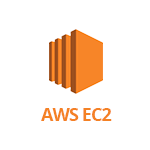 EC2 Instance: Focus on a single EC2 instance. For EC2, SignalFx will scan every instance ID from your AWS account and pull out properties of the instance and any tags set on the instance. Any dimension called Host or InstanceId in SignalFx that matches the instance IDs value, private DNS name, or private IP address will now have the same tags and properties of the instance ID. Each instance property is prefixed with aws_. For more information about the filters, see http://docs.aws.amazon.com/AWSEC2/latest/CommandLineReference/ApiReference-cmd-DescribeInstances.html. For more information about the metrics emitted by Amazon EC2, visit the service’s homepage at https://aws.amazon.com/ec2/.